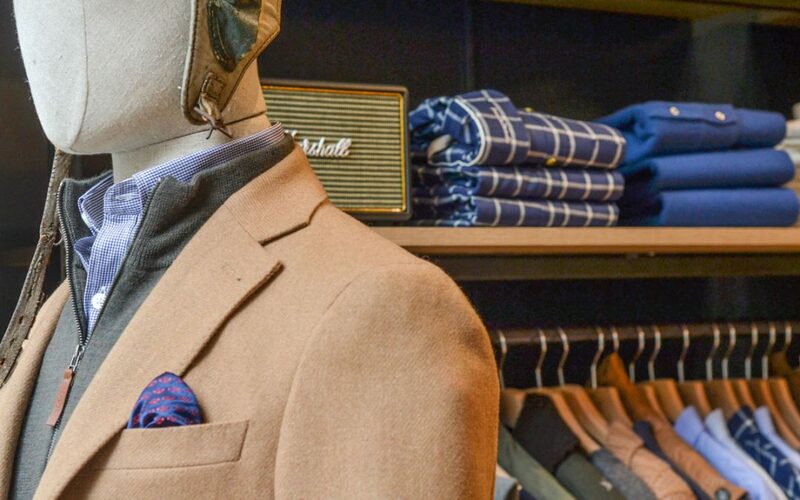 If the area of Saint-Germain-des-Prés is full of famous and luxurious brands, it also reserves some chic and affordable surprises, such as JAQK, menswear from Lille. Since 1 October, this brand, created in 2010 by six friends who enjoyed to get together to go to the gym, have a drink or play cards, offers a complete wardrobe for men, revisiting the basics and adding an optimistic and playful twist. The JAQK shirts distinguish themselves by an elegant pouch pocket, the sweaters have buttoned sleeves and the jackets feature the discreet logo of the brand, spades of cards. The materials are beautiful, the cuts comfortable, accessories aplenty (belts, cuff-links, bow ties, etc.). A new spot for men to quickly enjoy because the sales events “les rendez-vous JAQK” are, in essence, ephemeral. The store will indeed close at the end of the count-down displayed in the store, before re-appearing elsewhere. Unless in the meantime, victim to its success, JAQK hangs his hat in Saint-Germain for good… At this address, JAQK is inviting their customers and friends, the band… to discover their collections and experiences, their team, collaborations and their ephemeral products.